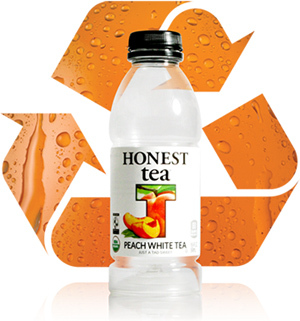 Honest Tea Launches "The Great Recycle"
Rainforest Alliance Certified™ farms in Ethiopia, Colombia, Guatemala, and El Salvador earned top marks at the spring session of the Rainforest Alliance Cupping for Quality. The results were announced last week at the annual Rainforest Alliance Sustainable Coffee Breakfast at the Specialty Coffee Association of America’s annual tradeshow in Portland, Oregon. This was the largest cupping yet, with a total of 90 samples from nine origins submitted to the event, which took place at the InterContinental Exchange Grading Room in New York City during the last week in March. A panel of expert cuppers participated in the two-and-half-day event. The samples were prepared by Combustion Systems Sales & Service’s Marty Curtis, who also led the cupping. The highest score—86 points—went to Idido, a farm located in the mountain forests of Yirgacheffe in Southern Ethiopia. Over 95 percent of the samples scored above 80, the threshold for specialty coffee—an indication that sustainable farming practices often contributes to the production of high-quality coffee. Rainforest Alliance Certified farms are required to adopt socially and environmentally beneficial farm management practices. In an effort to link sustainable farming with cup quality, the Rainforest Alliance developed its Cupping for Quality program in 2003. Andrew Blyth, Royal Coffee NYC. In 2011, more than 245,000 metric tons of coffee were produced on Rainforest Alliance Certified farms, an increase of 20 percent over 2010. Coffee from Rainforest Alliance Certified farms now represents an estimated 3.3 percent of the global market. The Rainforest Alliance works with people whose livelihoods depend on the land, helping them transform the way they grow food, harvest wood and host travelers. From large multinational corporations to small, community-based cooperatives, businesses and consumers worldwide are involved in the Rainforest Alliance’s efforts to bring responsibly produced goods and services to a global marketplace where the demand for sustainability is growing steadily. For more information, visit www.rainforest-alliance.org. Attendees at the 1st Annual Coffee And Tea Festival Atlantic City will be able to sample coffees and teas from around the world. Deliciously dunkable sweet treats will round out the offerings from the exhibitors. “Bally’s Atlantic City is excited to play host to a new and unique lifestyle event hitting the jersey shore this fall,” said Jon Henderson, Director of Marketing Partnerships & Business Development for Caesars Entertainment. “Everyone drinks coffee or tea, many people drink both. It is exactly this kind of e vent that will be of interest to those visiting and those who live near Atlantic City. I’m sure the two-day show will create quite a bit of excitement,” added Henderson. Like the New York City festival, the Coffee and Tea Festival Atlantic City will include programming on a variety of coffee and tea related topics, both entertaining and educational, lead by industry experts and pioneers. “The great event space at Bally’s will enable us to expand on the very popular event programming, and will include for the first time, seminars for tea and coffee retailers. Adding a trade aspect to the show is something we’ve wanted to do for some time,” said Noren. Tickets for the Coffee And Tea Festival Atlantic City will be $20 each and include sampling from the international lineup of coffee and tea exhibitors as well as attendance at a variety of classes/seminars/demos. Some workshops will require advance registration and payment of a materials fee. Tickets for the event will go on sale in June. Anyone interested in exhibiting or attending should visit the official festival website www.CoffeeAndTeaFestival.com for more detailed information. Devotees of the legendary illy blend and single-origin coffee enthusiasts now have something to share: illy MonoArabica™, the first-ever single origin coffees from the storied, Trieste, Italy-based coffee roaster. Each MonoArabica variety is a single origin coffee done only as illy can; each of the three coffee beans was selected for its role as a distinct component of illy’s signature, nine-bean blend of highest-quality Arabica coffee, responsibly cultivated and sourced from farms under the quality-centric, direct trade method pioneered by illy nearly 25 years ago. •	MonoArabica Brazil: intense and full-bodied. Located in Brazil’s lush state of Minas Gerais, the Cerrado Mineiro plateau is a tropical savanna known for its rich biodiversity – the ideal start for this complex Arabica coffee. Here, an enchanting landscape characterized by a tropical climate’s well-defined wet and dry seasons gives rise to MonoArabica Brazil’s intense aromas and full body, and provides an underlying note of decadent, dark chocolate. •	MonoArabica Guatemala: complex and medium bodied. Nothing else on earth compares to the conditions in Guatemala’s remote Huehuetenango Mountains, rising 6,500 feet above sea level, where warm winds from Mexico neutralize the high altitude and cultivate ideal growing conditions, in the shade of the Maya forest. The rare combination of altitude, warmth and shade conspire to produce coffee with a remarkably balanced sweetness. MonoArabica Guatemala is a medium-bodied surprise, offering a range of tastes and aromas spanning chocolate, caramel, honey and citrus. •	MonoArabica Ethiopia: delicate and aromatic. Legend has it that coffee’s reputation as fuel for the human mind has its origins in Ethiopia, perhaps the first place on earth where coffee grew spontaneously. Deep in the tropical forests, this coffee is shade grown and harvested by hand in the storied Yirgacheffe region, borne of rich, fertile soil. It all combines to produce Arabica coffee medium-bodied and kissed by gentle notes of jasmine, citrus and other bright-tasting fruits, delighting with a delicate, seductive taste,. Each MonoArabica variety is available at select finer retailers, including Sur La Table, Williams-Sonoma and Whole Foods, and on illy’s website as whole bean coffee, ideal for all preparation methods, and in illy’s proprietary iperEspresso capsules. Illy guarantees a profit on all coffee it purchases directly from farmers, reflecting and rewarding production to illy’s industry-leading quality standards. It is a model increasingly emulated today by specialty roasters, but none on a scale to which illy has achieved. Illy’s agronomists work directly with growers on their plantations to teach high-quality, low impact coffee production. The company’s protocols have been widely credited with advancing environmental, economic, and social conditions in coffee growing regions across four continents. In 2011, illy became the world’s first company to earn the Responsible Supply Chain Certification from the leading industrial standards arbiter Det Norske Veritas, supporting illy’s equitable treatment of supply partners and sustainable production practices against objective benchmarks. In the shadow of the Sanganguey Volcano, located on Mexico’s West Coast and within the lush hills of the Tepic countryside, farmers work hard to cultivate their agave crop in hopes of selling their harvest for enough money to support their families. Now, because of Wholesome Sweeteners, the farmers of the Integradora Otilio Montaño Cooperative will have that opportunity. After more than two years of working closely with the Fair Trade movement and small farmer cooperatives in Mexico, Wholesome Sweeteners is excited to launch the World’s FIRST Fair Trade Certified Organic Agave Syrup. Ethical sourcing through Fair Trade is a core value to Wholesome Sweeteners. Our long term vision of bringing Fair Trade Agave to the United States is finally coming to fruition. “We have seen such a positive impact on our Fair Trade cooperative communities in Malawi, Paraguay, and Brazil that we wanted to give the agaveros of Mexico the same opportunity to build thriving communities,” says VP of Marketing and Company Co-Founder, Pauline McKee. “It was important to us that small farming cooperatives growing agave had an alternative to selling their crop below market value.” The timing of this new Fair Trade Agave is perfect not only for the success of the cooperative, but addresses the growing demand for natural sweeteners in the United States. Agave s yrup is a low-glycemic sweetener that is slowly absorbed by the body, preventing blood sugar spikes. When the popularity of tequila hit an all-time high, many Mexican farmers hoped to profit by planting agave and selling their harvest to multi-national beverage companies who produce the tequila. Unfortunately, many other farmers had the same idea. Soon there was a surplus of agave and the beverage companies were paying less than $.02 per pound. At that price there was no way farmers could sustain their farms, let alone support their families. Now, Wholesome Sweeteners is providing farmers a viable economic incentive to protect their communities, their traditions, and their environment. As a Fair Trade Certified cooperative, the farmers of the Integradora Otilio Montaño Cooperative will not only receive a fair price for their crop but also a set social premium per pound of agave that Wholesome Sweeteners purchases. The cooperative farmers will also enjoy safe working conditions and earn the living wage they so desperately need and deserve. The social premiums the cooperative receives are paid above and beyond the price paid for their agave harvest. The social premiums must be democratically spent by the cooperative for projects that benefit the entire community. With these funds, the 130 members of the Integradora Otilio Montaño Cooperative will be able to provide their families with healthcare, send their children to school, purchase land, and expa nd their sustainable farming practices. Located in Mexico, in the center of the state of Nayarit, Tepic serves as the capital. From a bustling city center, life begins to slow down as you make your way to the mountainous countryside. The landscape is filled with fields of wheat, coffee, cotton, and of course agave. The hard-working people of this region depend on agriculture for survival. The beautiful locale of Tepic and the surrounding small villages like Santa Maria De Oro, home to the picturesque Laguna de Santa Maria, provide the ideal growing conditions for the agave plant. The arid conditions along with the volcanic, clay-like, soil allow the agave plant to flourish. This new partnership between Wholesome Sweeteners and the Integradora Otilio Montaño Cooperative will allow consumers to purchase the only Fair Trade Organic Agave Syrup on the market. More importantly, it will allow consumers to vote with their dollars making it clear that they care about the people producing their products. By purchasing Wholesome Sweeteners Fair Trade Organic Agave Syrup, consumers show that they care about organics, non-genetically modified products (non-GMOs) and want a cleaner future for themselves and their families. As awareness of Fair Trade products and their benefits grows, Wholesome Sweeteners will continue to educate customers and champion the rights of farmers in developing countries. With Fair Trade products, customers can be sure that every purchase they make really does make a difference, and helps make the world a sweeter place, one spoonful at a time. Wholesome Sweeteners Fair Trade Organic Agave Syrup will be available in stores early Summer 2012 in light and raw varieties. Fair Trade Organic Raw Agave is a low-glycemic, rich amber syrup. 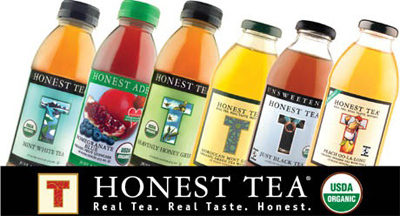 It is produced at a low temperature and lightly filtered to create a full, natural flavor. The amber syrup has a distinct and delicious flavor that genuinely enhances foods’ natural sweetness. Fair Trade Organic Raw Agave is a perfect everyday sweetener for everyone, including raw food enthusiasts, vegans, and those following a gluten-free diet. Wholesome Sweeteners Fair Trade Light Agave is a bright, sweet, low-glycemic syrup that can be used as a one for one replacement for conventional sugar. Because Wholesome Sweeteners Fair Trade Organic Light Agave is a low-glycemic, it is absorbed slowly by the body, preventing spikes in blood sugar. Fair Trade Organic Light Agave is a perfect everyday sweetener for everyone, including vegetarians, vegans, and those following a gluten-free diet. For a first-hand view of how Wholesome Sweeteners Organic Agave is made, check out the video on the Wholesome Sweeteners YouTube Channel, www.youtube.com/wholesweet.